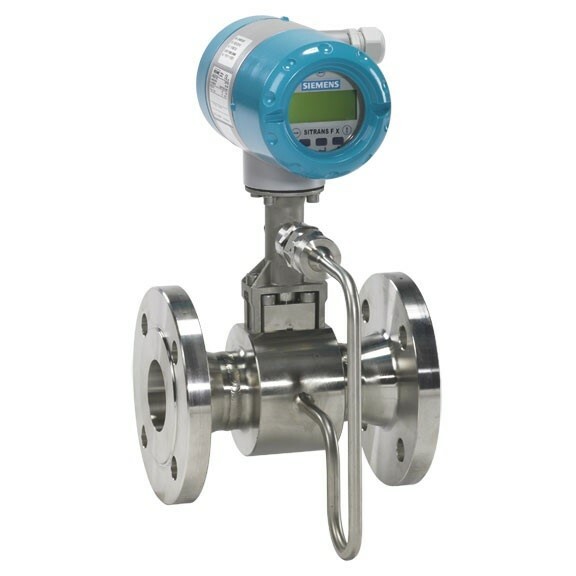 The vortex flowmeter product program consists of two types of flowmeters, a flange and a sandwich version, making Siemens unique as it covers all possible applications. The flange version is available with a single or dual converter, whereas the sandwich version is only available with a single converter. Both versions have the temperature sensor integrated and the pressure sensor as an option. Key applications for the SITRANS FX300 are found in supply processes (auxiliary service), Chemical industry, HVAC, Power plants, Food & beverage industry and Oil & gas industry.